Aceh ; (Acehnese: Acèh ([ʔaˈtɕɛh]); Jawi: اچيه‎; Dutch: Atjeh or Acheh) is a province of Indonesia. The territory is located at the northern end of Sumatra. 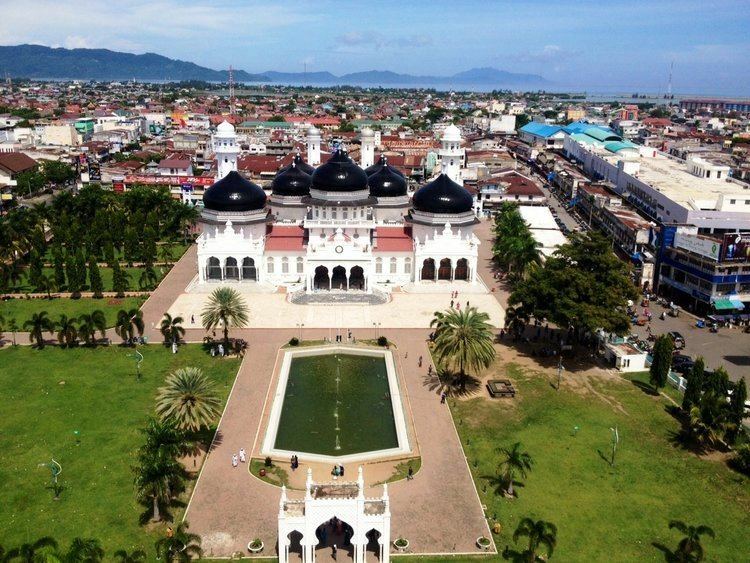 Its capital is Banda Aceh. It is close to the Andaman and Nicobar Islands of India and separated from them by the Andaman Sea. Its population has the highest percentage of Muslims in Indonesia, who mostly live according to Sharia customs and laws. There are 10 indigenous ethnic groups in this region, the largest being the Acehnese people, accounting for approximately 80% to 90% of the region's population. 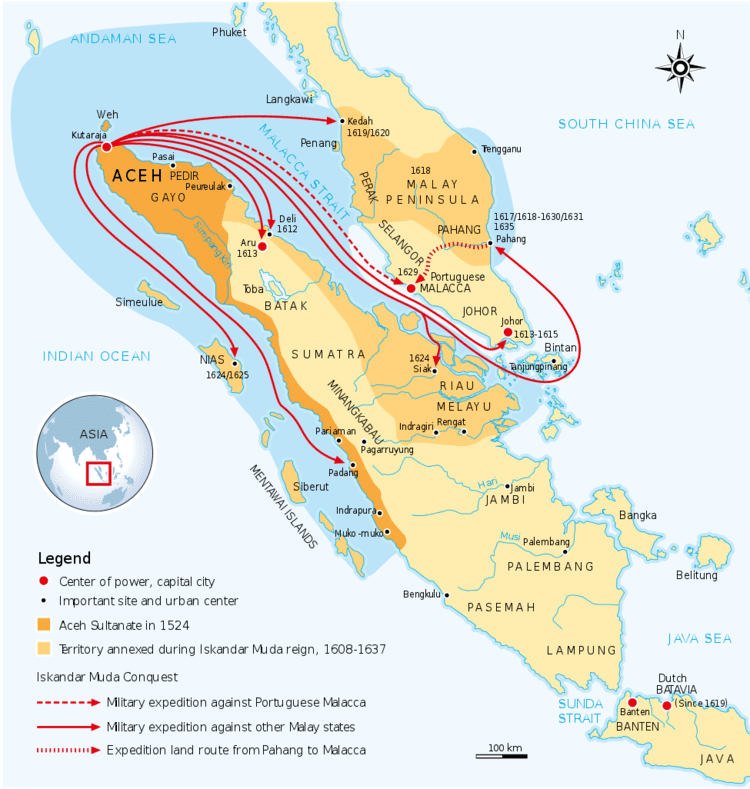 Aceh is thought to have been the place where the spread of Islam in Indonesia began, and was a key factor of the spread of Islam in Southeast Asia. Islam reached Aceh (Kingdoms of Fansur and Lamuri) around 1250 AD. In the early seventeenth century the Sultanate of Aceh was the most wealthy, powerful and cultivated state in the Malacca Straits region. Aceh has a history of political independence and resistance to control by outsiders, including the former Dutch colonists and the Indonesian government. Aceh has substantial natural resources of oil and natural gas with some estimates that Aceh gas reserves are one of the largest in the world. Relative to most of Indonesia, it is a religiously conservative area. Aceh was the closest point of land to the epicenter of the 2004 Indian Ocean earthquake and tsunami, which devastated much of the western coast of the province. Approximately 170,000 Indonesians were killed or went missing in the disaster. The disaster helped precipitate the peace agreement between the government of Indonesia and the Free Aceh Movement (GAM).